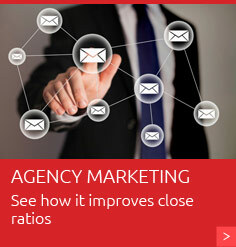 We know it is hard to understand the ever changing world of online Internet marketing as it relates to your agency. To help you navigate the ever changing tides we include access to our team of dedicated Internet Marketing Specialists. They will review your site, make suggestions to your social media, search engine optimization, and your pay-per-click marketing and even show you how to implement those suggestions*. Just give us a call and let us know how we can help make your Insurance Website Builder Platinum or Emerald site a success for your agency. 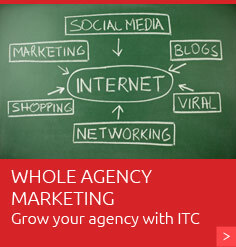 If you would like to learn more about how ITC can take over your complete Internet marketing plan (including blog authoring, social media management, search engine placement and optimization, and e-mail marketing), request a consultation today. * - Up to one hour of monthly website marketing support is provided. Additional time each month may incur an additional fee. Unused support time is forfeited.